Mr. Steve De Las is an Executive professional with over thirty seven (37) years’ experience in both public and private multinational corporations. His technical expertise spans: strategic, operational, production, process improvements and leadership capabilities. Mr. De Las has a history of creating dynamic work teams by coaching to achieve strategic objectives and operational excellence. He is known for competently utilizing process improvement approaches to ensure quality, efficiency and cost effectiveness in the utilization of all resources. A former Production Manager at YARA Trinidad Limited for the last decade and in management at YARA for the last three (3) decades, Mr. De Las has specialized in implementing quality standards, systems and operational procedures. Mr. De Las currently serves as the Chairman of North Central Regional Health Authority and was a former Director of the National Petroleum Marketing Company ltd.
Mr. De Las is the holder of an Executive Masters of Business Administration (EMBA) from the Arthur Lok Jack Graduate School of Business and holds a Diploma in Business Administration from Henley Management College in England. The culmination of his technical skills and wealth of experience brings great value to e TecK. Ms. Maureen Singh is a high-Performing, Strategic, Executive Manager with Regional exposure. She holds a Master’s Degree in Business Administration from UWI-St. Augustine. She is the consummate banker with thirty one years of experience in the industry at both private and regulator sectors. Ms.Singh former positions include Director, Analysis Division at the Financial Intelligence Unit (FIU); Country Manager at DHL Barbados and Manager, Bank Operations at RBTT Bank Limited both locally and regionally. Ms.Singh possesses a strong, strategic, risk perspective on all assignments undertaken, understanding cultural nuances and ambiguity, organizational cultures and environments. Considered as persuasive, action-oriented, influential and driving winning results, Ms. Singh’s forte is streamlining processes, problem-solving and change-agent. Mr. Ian Fletcher is a graduate of The University of the West Indies with a B.Sc. in Agriculture. He also possesses a Post Graduate Diploma in Land Administration from the same institution. He has over 35 years of experience in the public sector at the middle management and upper management levels in the sectors of banking, crop production, extension and training, research, land administration and management. Mr. Fletcher is a former Commissioner of State Lands in the Ministry of Land and Marine Resources where he was responsible for the management of the State’s land resources including the issuance of leases, licenses consents, agreements, serving Quit Notices and acquisitions. He was also the Inspector of Apiaries in the Ministry of Food Production having the responsibility for managing all bee matters in Trinidad and Tobago. 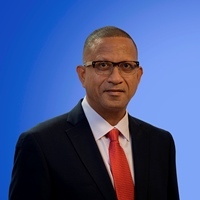 Mr. Fletcher has served on a number of Cabinet appointed committees, the most recent being the Divestment of Caroni (1975) Limited, National Spatial Data Infrastructure and Land for the Landless. Ms. Narinesingh brings to the e TecK Group of Companies considerable legal experience in diverse areas of law and a strong acumen for land and business development. At e TecK she is responsible for the management of the Legal Services Division by ensuring e TecK’s interests are protected, while delivering results against strategic objectives within its core values and beliefs. An Attorney-at-Law, she is the holder of an LLB degree from the University of the West Indies and an LEC from Hugh Wooding Law School. Her years of experience have spanned both the private and public sector. Ms. Narinesingh has also held senior posts at the Housing Development Corporation and Home Construction Limited. She has developed considerable expertise in contract and commercial law transactions, construction law, real estate, land use, including purchase and sale negotiation, development (residential and commercial), leasing and corporate governance transactions. Ms. Solange Henry has almost 15 years’ financial management and auditing experience in State Enterprises across Trinidad and Tobago, covering various sectors such as Energy, Tourism, Infrastructure Development and Project Management. She thrives in high energy and dynamic business environments. She is an ACCA Certified Accountant and holds a Master’s Degree in Business Administration with a specialization in Innovation and Entrepreneurship from the University of the West Indies, Arthur Lok Jack Graduate School of Business. She has strong practical proficiency in the areas of financial management, project management, risk management, human resource management and general administration. Her signature management style involves a very structured and analytical approach to executing all tasks, complemented by a practical approach to problem solving. Her mantra for every work situation is “Before you tell me the problem, you must have a solution in mind”. Her experience has proven her adaptability to ever-evolving and complex work environments and her solution-driven nature have successfully and significantly impacted the areas of governance, risk management and development of robust systems of internal controls in many business environments. She has served on two (2) State Enterprise Boards of Directors and remains committed to giving service to Trinidad and Tobago.